With the new year now underway, many resolved, “This will be the year I will lose weight.” If that was your resolution again, how are you doing? Repeated disappointment to lose weight requires a change in mindset. What do you really want—to lose weight or to be healthy? Remind yourself it isn’t about losing weight. It’s about getting and keeping a healthy body. Weight is only one aspect of that goal. When you strive for better health through wiser food choices, weight loss will come―without all those weird, expensive, and/or dangerous diets. Eat more. That’s right. Too many starve themselves, feel weak and famished, and then try to make up for it by choosing foods or drinks that don’t help weight or how they feel. Intermittent diets have become popular. That is, choosing a time to skip eating. In the right conditions, it may help some people. But for most of us, it’s probably not a good idea. Look for ways to give up junk foods or extra snacks without missing them. So often we eat foods just because they are there. We aren’t hungry. We just want something to munch. Or we see food and think we have a responsibility to eat it. Not so. When you feel any of these urges, ask yourself if you want it, do you need it, or can you do something else to get your mind off eating. Keep in mind that those with diabetes need to eat in sync with medications. When properly regulated, eating extra foods may not be necessary, and if they are, those in the junk food categories aren’t a good idea. Stop the dieting habit. Many weight-loss diets are dangerous, and few people stick with them for very long. Healthy weight doesn’t depend on any one food. It depends on you making better choices and eating smaller amounts. Try it. What do you have to lose but unneeded weight? Happy new year. While heart disease, at slightly more than 23 percent, remains the number one cause of death in the United States, cancer with 22.5 percent of deaths, leads the way in mortality we can help prevent by behavior. According to the American Institute on Cancer Research (AICR), nearly 50 percent of the most common cancers can be prevented. February is “Cancer Prevention Month.” What are we doing to help thwart one of these cancers? Up to 90,000 cases of cancer per year are thought to relate to obesity. Those most prevalent include colorectal, breast, endometrial, esophageal, gallbladder, kidney, liver, lung, pancreatic, prostate, stomach, and ovarian. Diet in general affects our risk. If this is an area we need to address, the AICR recommends several steps for cancer prevention. Avoid underweight. While many facts are known regarding the problems of too much weight, underweight is not the answer. The wise will remain within a recommended weight range. Avoid components in foods that can hamper weight loss or a healthy diet. Some of these include too much added sugar, especially sugary drinks and high calorie foods, excessive salt/sodium in the diet, and processed foods. Avoid too much red meats and choose fish or white meats such as chicken. Do exercise or remain physically active for a minimum of 30 minutes per day. Apple antioxidants come from several phytochemicals, namely quercetin, epicatechin, and anthocyanins. The peels have additional antioxidants. Blueberries, one of the highest fruits in antioxidants, also contribute high levels of vitamins C and K, manganese, and dietary fiber. Legumes, in addition to antioxidants, contain lignans (plant-based substances that may act like human estrogen) and saponins (health-promoting complex compounds) and other substances that may protect against cancer. Dark green vegetables such as spinach, kale, romaine, mustard greens, collard greens and others provide excellent sources of carotenoids including lutein and zeaxanthin plus saponins and flavonoids. These chemicals may possibly protect against cancers of the mouth, pharynx, and larynx, plus slow growth of certain cell types associated with breast, skin, lung, and stomach cancers. No one can guarantee you will not get cancer, but how you treat your body can make a difference. Think about the foods in your diet that may contribute to your susceptibility to cancer. Then consider ways you can add or remove foods that may protect you from this dreaded disease. It’s no guarantee, but isn’t it worth a try? As we close the chapter on 2017, many of us think of plans we made for the past year and failed to accomplish. This blog, as a part of my theme “To Nourish Body and Spirit,” emphasizes good nutrition. We make resolutions or goals at the beginning of each year to lose weight or improve eating choices. Sometimes we chastise ourselves mentally because we failed to achieve those goals. Instead, why not focus on things we did right? We can’t undo the past, but we can forge ahead on positives. Here are points to consider. Remember the positive choices you made throughout the year to choose healthy foods. Reflect on your greatest accomplishments in making wise food choices. Ponder constructive decisions about relationships and foods that made you feel good. Recall walks or exercise you attempted. Think about the times you abided by safety rules to keep foods safe. Likewise, meditate on the way you nourished your spirit. Hints. More prayer, Bible study, sharing with the less fortunate. You finish the list. Identify five things from 2017 that gave you joy and contentment, and consider how you can expand those experiences in the future. Many throughout our nation and worldwide experienced devastating natural phenomena or mass shootings during 2017. Yet, several expressed thanks in the midst of hurricanes, floods, fires, and senseless carnal disasters. You, too, can find joy and blessings in many seemingly negative situations. When you do, hold onto them, nurture them. 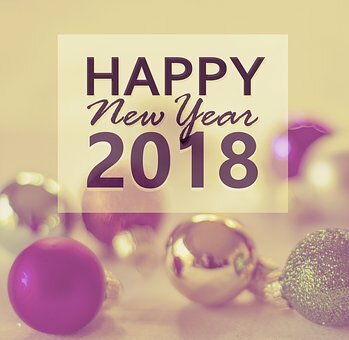 God bless you as you strive to improve your attitude and live your life to the fullest in the year ahead. Contemplate the positives, especially in your eating habits, and make joyfulness and thankfulness your companions throughout 2018. Dieting: Is Yo-Yo a No-No? Maybe you have been there. You lose weight and the next thing you know, you have gained it back, plus a little extra. Does this up-and-down process we call yo-yo dieting or weight cycling injure your health? Sixty-eight percent of Americans over age 20 are obese or overweight. Of those, about 45 million are on a diet. As many as 65 percent of people who lose weight regain it within three years. For those who lose pounds rapidly, only five percent will sustain weight loss. The controversy continues as to whether this practice harms otherwise healthy adults. Limited studies show the impact for crash dieting may result in frail bones, muscle atrophy, weakened immune system, and heart palpitations. However, weight cycling may be linked to stroke, heart attack, or death in people with preëxisting coronary heart disease (CHD). A recent study published in the New England Journal of Medicine confirms that for those with heart disease, a yo-yo pattern of dieting may prove fatal. The study included nearly 10,000 men and women between ages 35 to 75 and spanned almost five years. All participants had high cholesterol levels at the beginning of the study. For those overweight or obese when the study began, weight fluctuation of up to 8.6 pounds accounted for 136 percent more strokes, 117 percent more heart attacks, and 124 percent more deaths. While results did not prove a cause and effect relationship, an association seemed to exist. The study also found that the onset of diabetes increased for those who demonstrated greater variability in weight. The August 28, 2017 journal Obesity reported that individuals whose weight fluctuated over a two-year period did not fare as well in keeping weight off as did those who consistently lost weight at a slower pace. What do these studies tell us? For a better outcome when losing weight, make the process slow and steady. Unlike weight cycling or yo-yo dieting, consistency in losing weight assures a greater possibility of keeping weight off and at the same time, it reduces potential harm to your body, especially if you have CHD. Before you start another crash diet, consider your long term goal for weight loss and the price such a diet could cost you in compromised health. Why does eating fewer calories to lose weight seem so difficult? An article in MedlinePlus gives ten easier ways to cut 500 calories each day. If we could do that, it could result in about fifty pounds of weight-loss in a year. As I read their suggestions, they made sense. While we may not always hit our mark, at least these ideas can give a head start without all the agony of strict dieting. Here is their modified list with my comments. Change your snacks. What do you choose as a snack? Too often we like the salty, sweet, fatty choices. But there are great healthy options out there. Consider fresh fruit, air-popped corn, or my favorite―nuts. While nuts do have more calories than some foods, in small quantities they provide many needed nutrients and a feeling of fullness. Cut one high-calorie treat. You choose. Is it the high-calorie breakfast doughnut, the tempting dessert at lunch, or fried foods? My choice was to switch from “sweet tea” to unsweetened tea. Saves a good 100 calories a day. I figured with the huge amount I drink daily, it calculated to about ten pounds a year. This leads to their next suggestion. Stop drinking your calories. It’s not easy to give up all those tasty choices. But those special coffees or sugar-laden colas can quickly add up to 400 to 500 calories a day―and leave us without adequate nutrients or the needed fiber for lasting fullness. Skip seconds. That sounds like a no-brainer, but we can all be guilty. It tastes so good, we want more. When we can’t resist, make sure we choose lower calorie foods. While we serve most meals family style, serving buffet without options for a return “all-you-can-eat” trip may help the entire family control calories. Make ingredient substitutions in favorite dishes. Using plain low-fat yogurt instead of sour cream can cut a few hundred calories. We can cut the amount of sugar in many dishes without any effect on the results. Ask for a doggie bag. My husband and I figure we get a two-for-one with many of the meals we eat out. Call for a to-go container as soon as the meal is served and put half the portions into it. Just remember to take home immediately and refrigerate. Say “no” to fried foods. That’s hard for southerners who like their fried chicken and catfish. We can save as much as 500 calories when we choose baked, broiled, or grilled. Change those French fries to a baked potato, salad, or vegetable. Build a thinner pizza. I love pizza, but it is one of those foods I have disciplined myself to skip. That’s not to say we can’t ever splurge, but keep it minimal. For those who prefer to change the topping instead of skipping altogether, omit the cheese and meat and load your pizza with lots of veggies. Eat from a plate. I can’t start a bag of popcorn―any size―without eating the entire thing. The secret? Put smaller portions on a plate or in a bowl. When it’s gone, it’s gone. The same with chips and other tempting snacks. Avoid grabbing sandwiches and bags of chips on the way to the TV. We tend to eat less when we place meals on a plate and eat in a designated area away from distractions. Avoid alcohol. While that isn’t a problem for many of us, it is for a great number of people. There is no nutritive value in alcohol. It’s all calories. Some drinks can have as many as 500 calories. For those who choose to drink, light beers or a small glass of wine will have fewer calories. You may think of many other ways to lower the number of calories you eat. Often people have asked for me to write them a “diet.” I don’t eat the same as they do, and they probably would not follow my choices any better than they follow the many options all ready out there. It’s your diet. Make it your own. Think how you can painlessly make changes, such as my unsweetened tea. True, I did not like it at first, but now I can’t stand the sweet stuff. Give yourself time. Commit to changes that can work into your lifestyle and go for it. What do you have to lose but weight? As summer wanes, jazz up your menus with a new dinner salad. You don’t have to be a vegetarian to enjoy a non-meat dish loaded with nutrients that promi se fullness. The tasty Mediterranean Quinoa Dinner Salad uses quinoa (pronounced Keen wah or ke NO ah), a grain crop grown primarily for its seed, as the basic ingredient. If you haven’t tried it, check it out. It’s gluten-free and packed with vitamins, minerals, and about six to eight grams of protein per serving. An added touch of black beans gives even more protein. Other ingredients add flavor, texture, and healthful choices. Diets eaten in the Mediterranean part of the world include ample fruits, vegetables, nuts, whole grains, and olive oil plus servings of seafood, especially tuna and salmon. Choose this eating pattern to improve blood pressure and enhance heart-health. A recent study showed that those seemingly high-calorie nuts, olives, and oil had little effect on body weight or waist circumference when compared to those who ate a low-fat diet. So enjoy this economical, healthy, and tasty dish. Cook quinoa according to package directions. Layer ingredients on individual plates. Place ½ cup cooked quinoa on each plate.Top with black beans, olives, feta cheese, and nuts. Arrange tomato wedges around the edge of plate. Place sliced cucumbers on one side. Drizzle all ingredients with olive oil. The Lemon Gelatin Supreme, a nice blend of lemon gelatin, marshmallows, and bananas topped with a creamy pineapple sauce, shown here gives a tangy taste to the meal. Finish dinner with a rich chocolate pudding made with non-sugar sweetener and low-fat milk. Or if calories allow, enjoy a dish of your favorite chocolate ice cream. Try this simple dinner salad and let me know what you think. The Paleo Diet, touted for weight loss, has a growing number of followers. What is this diet? Is it right for you? The Paleo Diet, also known as the Caveman Diet or Stone Age Diet, refers to foods available during the Paleolithic Age, when early ancestors weren’t farmers but hunters and gatherers. They depended on food caught or gathered from open fields and forests. According to Paleo enthusiasts, the diet includes lean meats, shellfish, eggs, fruits and vegetables, and healthy oils (olive and coconut). Restricted foods include dairy, refined sugar, potatoes, salt, refined vegetable oils (such as canola), grains, and all processed foods. A recent study of older women on this diet caught my attention. The study included thirty-five post-menopausal women who followed the diet for two years and lost significant weight. A researcher not involved in the study pointed out that those conducting the study veered from a true Paleo Diet to one that mimicked much of the Mediterranean Diet, an acceptable plan for healthy eating. A study of only thirty-five subjects concerned me. What can we believe? In January 2016, the U. S. News & World Report listed scores of the most common diets based on a scale from 0 to 5. The Paleo diet had a 2.0 overall score. On weight loss, it scored 1.9. The score for healthy eating was 2.1, and the magazine ranked “ease to follow” at 1.7. The magazine rated thirty-eight diets, divided into nine categories. How did the Paleo Diet fare? For Best Overall Diet, it ranked number thirty-six, tied for next to last place with the Dukan Diet, and came in last for Best Weight-loss Diet. Not only that, to follow this diet requires more home preparation, thus more kitchen time ― a sparse commodity for busy families. It also tends to cost more. Supporters of this diet claim it leads to a healthier, fitter, disease-free life. In actuality, it fails to provide a number of needed nutrients. Exclusion of dairy makes it difficult to get recommended levels of calcium and vitamin D. Limited grains and pulses (legumes) restrict needed fiber in the diet. Before we embark on any diet plan, it’s wise to learn the pros and cons. When tempted to follow popular diets whose claims sound too good to be true, think again. They probably are.